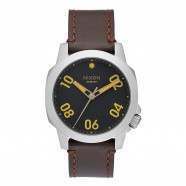 Nixon Watches - Nixon Re-run Leather Watch - Brown Croc :: Men > Watches. Negative display LCDCountdown timerLight functionsWaterproof to 30mLeather bracletMovement: Custom multi-function digital module with calendar. dual time. 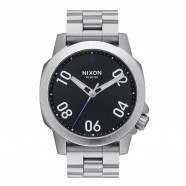 and alarm38.5 mm custom solid stainless steel caseHardened mineral crystalNixon watchInjection molded polyurethane pushers Size: one size.